While that may certainly be an unstoppable duo (or a clash of titans, depending upon their alliance), audiences will have to wait until August 10th to see Renner step into Damon’s shoes. The Bourne Legacy was recently pushed back a week due to fear of competing for audiences with Total Recall and, more likely, a desire to step out from under the shadow of The Dark Knight Rises. 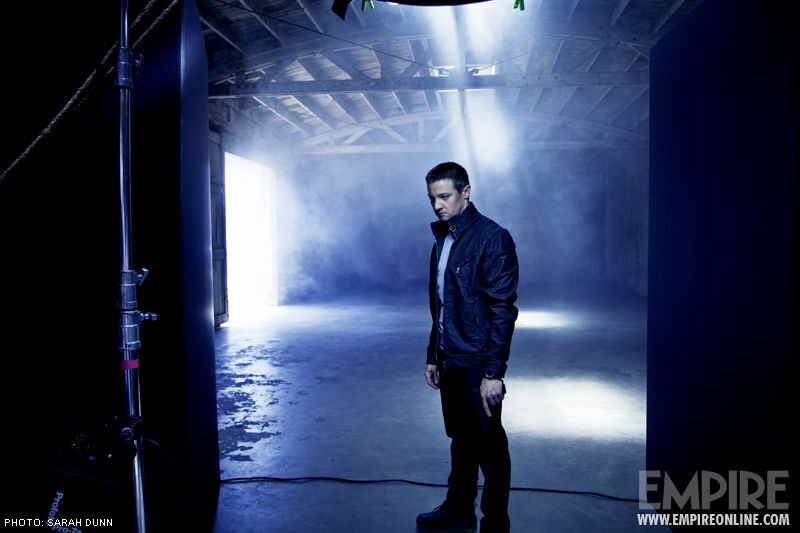 Hit the jump for more from Marshall, Renner and director Tony Gilroy, in addition to new images of Renner as Aaron Cross in The Bourne Legacy. “You thought you were seeing something you weren’t. What if there’s a much larger story? What if Treadstone wasn’t the only black-ops programme?